The passing of time has proven his contribution to greatness! He will stand at stud until sold. 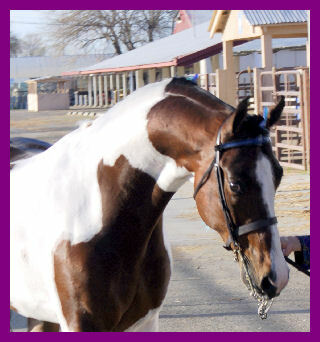 Image is one stallion that can give you a foal that has it all! 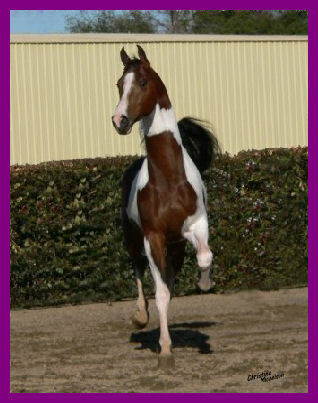 IMAGE is a young stallion with exceptional conformation, beauty, and grace. 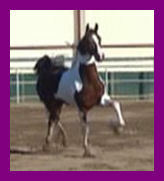 He has a kind and willing disposition along with an elegant square trot with plenty of motion. 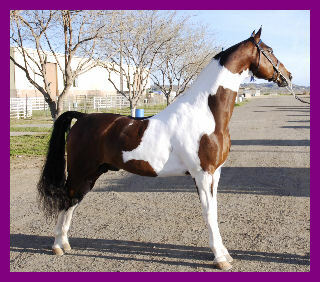 IMAGE is the result of breeding for ideal show horse characteristics using outcross blood for improving future generations. 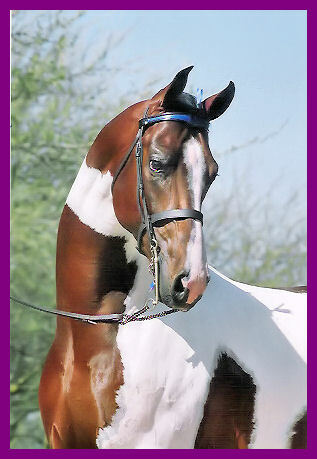 His world class pedigree, coupled with his tremendous style and charisma make him an easy choice for your best mares! 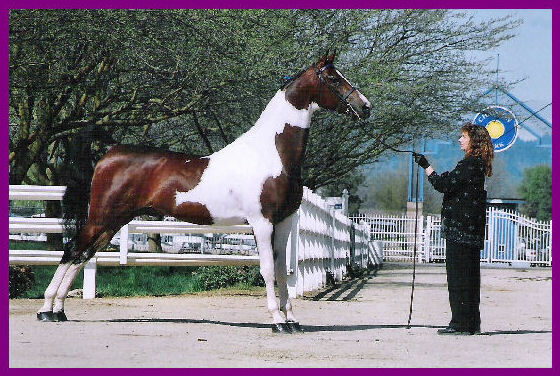 As a show horse, Image has won Championships in Oregon, California, Canada, and Idaho. 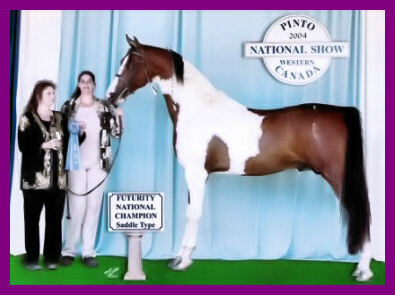 As a two year old, Image was unanimous PtHA Canadian National Champion and National Futurity Champion. 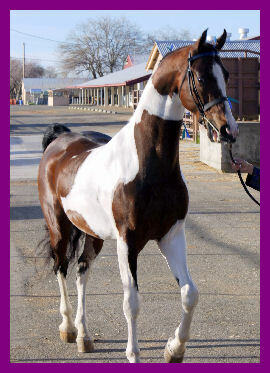 He was undefeated in Halter in 2005 and 2007. 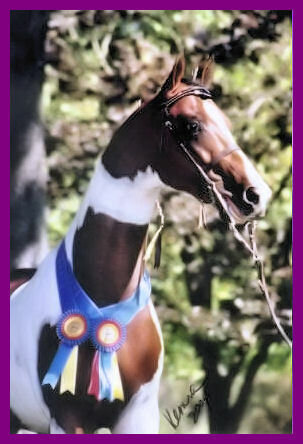 Image has earned his Register of Merit in Halter and in Color, along with his Register of Excellence in Halter with PtHA. 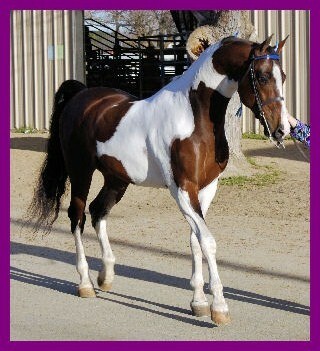 As a sire, Image has surpassed all of our expectations! 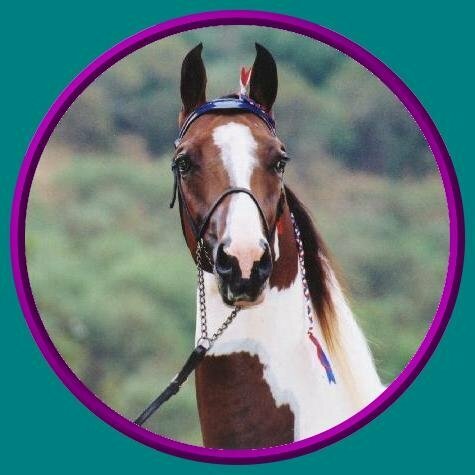 After breeding to a diverse spectrum of mares, we have found that Image has the innate ability to pass on all of his desired attributes resulting in foals coming out with impeccable confirmation, charisma, and highly sought after natural show horse posture. Image foals are proving to be great show horses, winning at National and Regional levels. Please check out our "SHOW RESULTS" page to see what Image's get have been winning! 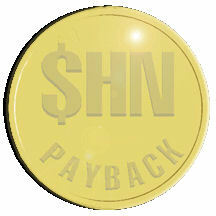 Remember, ALL offspring born in or before 2009 from 2008 enrolled stallions are eligible for Payback for life!